I really think the next place to visit on my list should be Guernsey or Jersey (probably both- you shouldn’t just pick one, right?) I seem to be drawn to these places intensely and appreciated the author’s descriptions when setting her scenes. I read the book trying not to google images of these lovely islands and to concentrate on the story at hand. Finding Mother isn’t exactly what I was expecting. I thought, from the book's synopsis, that we would be mostly following Nicole’s search for her birth parents and instead we found them almost right away and the rest of the novel unfolded after their meeting. The “action” was therefore right at the start of the book and I found the rest meandered slowly and pleasantly along much as I would imagine the pace of life on the islands would do. That’s not to say that there weren’t some interesting titbits of information leaked into the plot throughout and I enjoyed the story line- it just wasn’t what I had been expecting. The author created some multi-layered characters and relationships however I didn’t care for all of them! Nicole was a very strange enigma for me as at first she seemed so forthright and determined to leave her philandering husband. She had quite a high powered job for which she obviously had to have her head screwed on properly but she didn’t seem to have much of the same characteristics once she stepped back on to the island where she grew up. I was also really disappointed with the links with her adoptive parents who could have been given more gumption when confronted with their daughter’s marital collapse and subsequent life changing decisions. They faded into the background which wasn't at all realistic- Nicole even forgets to call them with updates for much of the novel. However I really loved her birth grandmother- she was just the right mix of tough nut and soft place to fall. 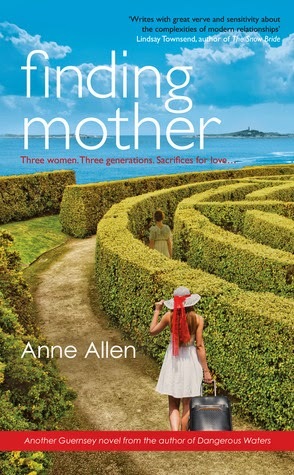 There’s a lot to enjoy about Finding Mother and I read the whole thing happily and contentedly, no great surprises but some interesting bonds were formed which made the novel a good read. Thank you to Sarnia Press for our review copy. All opinions are our own.